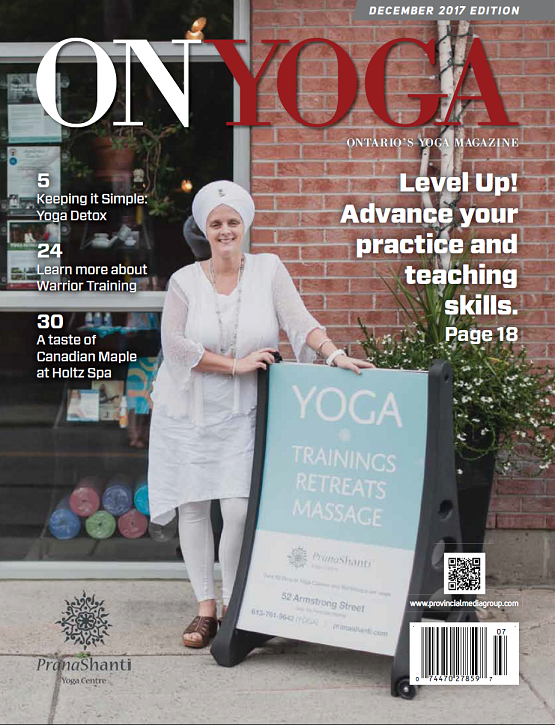 We’re excited to be featured in the December 2017 issue of ON Yoga Magazine. There’s a great article about our upcoming 300 Hour Hatha Yoga Teacher Training Program that we are launching in January 2018. The program is set and registration is OPEN! PranaShanti Yoga Centre’s HYTT 300-Hour Program is a comprehensive course of study that delves deeply into all aspects of Yoga, thus, building on the knowledge and skills developed at the 200-Hour Level. This self-paced modular approach to advanced Yogic education allows you to customize a pathway based on your own unique needs.